Eastern Asia has many exotic locations to explore such as South Korea, Japan, Taiwan, Eastern China and Hong Kong. 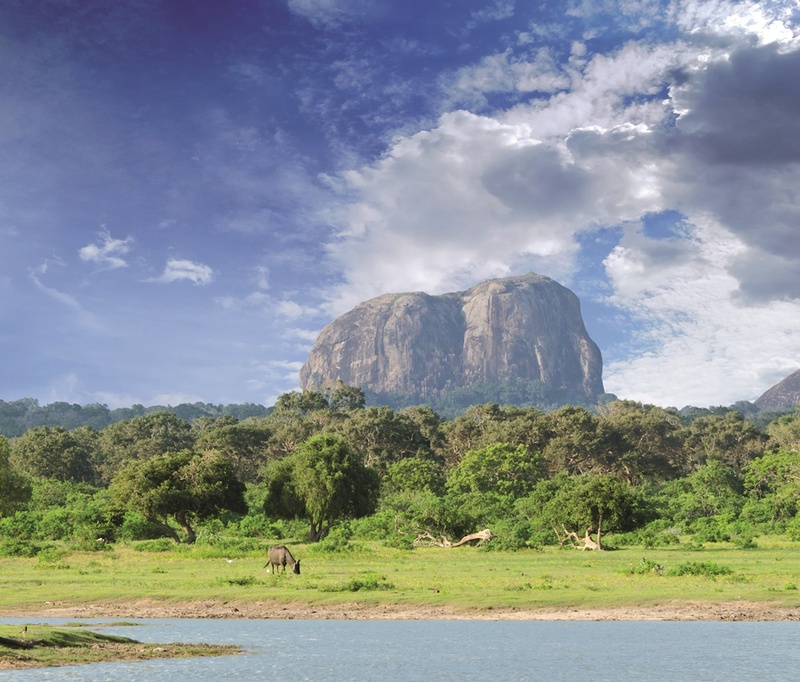 Along with sights, sounds, and culture comes variety… in the weather world. The weather conditions across this part of the world differ significantly during the summer and winter months, and tropical season never officially ends (on the surface, a less the comforting thought). However there are places to go to get away from it all and to find the best weather. Safe routing through the region will be determined by prevailing weather features, strong currents, and tropical cyclone activity. 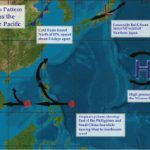 By Jeremy Davis of Weather Routing, Inc.
A large, semi-stationary North Pacific high extends east to west across the Pacific towards the Philippine Sea and Japan during the late spring and remains in place through August. This large Pacific high will dominate the flow of storm tracks across the northwestern Pacific. 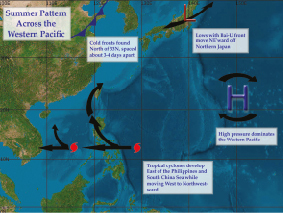 This high slowly begins to weaken and retreat eastward away from Eastern Asia during August and September, and further weakens during winter, occurring as cold fronts become stronger, more frequent, and extend farther south into the region. Fronts of course are associated with the passage of lows and gales off to the north. These lows/gales during June through August are less frequent than during most other times of the year, and typically remain north of 35N in the summer from eastern Japan northeastward towards the Bering Sea and Aleutians. At times, these systems can move more east-eastnortheastward from the Kuril Islands into and across the Western Pacific. Lows during this particular period are associated with the so-called “Bai-U” front, which is basically a “line of demarcation” if you will between warm, moist air from the tropical Pacific, and cooler, drier air (more typical of spring) farther north. During the early part of June, the Bai-U front lies along southern Japan, and during the month begins a slow trek north toward Hokkaido and vicinity, where is retains its “residency” for the summer. With the arrival of the Bai-U front (and the passage of lows), there is an increase in the incidence of showers and squalls along this front, creating a distinct rainy season. The front usually lasts for 1-2 weeks before moving completely out of a particular location (farther north), though during this rainy period it is not uncommon to get bouts of heavy precipitation and severe squalls. Cold fronts associated with lows during the summer typically extend southwestward to near 33N, moving across the Sea of Japan approximately every 3-4 days. Behind these fronts, transitory high pressure ridges build eastward into the Japan/Sea of Japan area, breaking away from the main high pressure ridge farther west. Gales (and storms during the winter season) become more frequent in October through early spring. The gales/storms develop mainly between 30N to 60N and track northeastward toward the Bering Sea. Cold fronts associated with these systems extend farther south as well, and during the winter season are often found to move across Taiwan and the Taiwan Strait vicinity. The main concern during June through September will be the tropics, becoming most active this time of year, averaging 4 to 7 systems per month. Tropical cyclones typically develop in the Western Pacific east of the Philippines, and take one of two tracks: 1) a general west to west-northwestward track through the Philippines and into South China Sea, toward mainland China, or 2) “curve” northwest to northward toward Japan and the Sea of Japan, before turning more north to northeastward near 30N-35N once these systems get caught up in the increasing southwest to westerly winds in upper levels of the atmosphere. Tropics will still be a factor across the area during the autumn months, averaging 3 to 5 systems per month. Typical cyclone development and tracks change little compared to the summer months. Again, systems tend to develop near/east of Philippines, then track either west to west-northwestward across the South China Sea, or turn northwest to north, then northeastward toward 30N, before tracking more north to northeastward, weakening and becoming extra-tropical as they move into the cooler waters north of 30N. Tropical cyclones are rare but not unheard of in January through March. Over the past ten years, these months average less than 1 tropical cyclone per season. Tropical cyclones normally begin to weaken/become non-tropical, and become part of main low/gale track once they move into the cooler waters north of approximately 33N-35N. Also, systems on the more northern track can, at times, show rapid intensification in the area between 20N-30N and from 125E-135E, with the very warm ocean currents in that area. 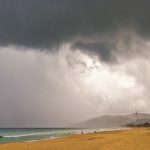 During June through September, typical winds ahead of cold fronts tend to veer S-SW-W with speeds of force 4-5, and seas typically are from southwest to west, building to approximately 4-8 feet. Seas are typically lowest along the immediate east coast of Japan, in the lee of islands, and along the Korean Peninsula, where fetch is more limited. After fronts pass, winds become west to northwesterly again force 4-5 with periods of force 6 likely after stronger frontal passages and seas become west to northwesterly, generally in the 5-9 feet range, though lower along coastal areas. During particularly strong frontal passages, especially during the winter season, winds can easily reach force 6-7 and seas can build in the Yellow Sea and Sea of Japan up to 11-16ft from the northwest. Sea height averages tend to increase across the northern Philippines to the East China Sea vicinity into the fall. This area becomes much larger through November and December, expanding across much of the South China Sea, eastward across Luzon Strait to approximately 135E, and northward into the Philippine Sea. Once highs build eastward toward the area, winds generally veer further from northwest to northeast, with speeds from force 3-5, and seas becoming north-northwest to northeast, slowly easing to near 3-6ft range. Note that visibilities tend to be lower than 2 miles due to fog in June through August near the Kuril Islands vicinity. Farther south near Taiwan, Eastern China, and the Hong Kong vicinity, localized “channeling” or “funneling” of higher winds and building seas can cause some potential headaches for travel. 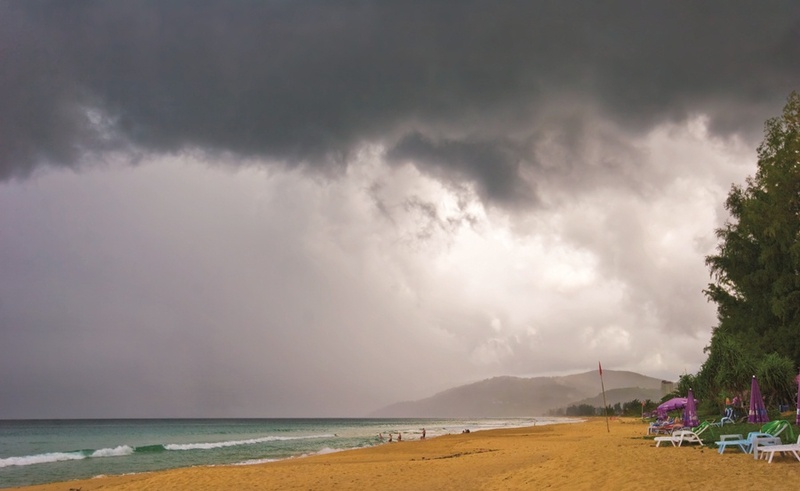 The southwest monsoon season is underway during mid to late spring and the summer, allowing predominately south to southwest winds, generally force 4-5 across the northern South China Sea, and through Taiwan and Luzon Straits. However, localized funneling of south to southwest winds in Taiwan Strait can develop much higher winds to this region, with winds often as high as gale and near gale force (force 7-8). Near the China coast and the Sea of Japan the pressure rises from August into September and the low over southern Asia fills. As the southwest monsoon disappears, winds shift back to northeasterly force 4-5. During the fall and into the winter months, winds are predominantly influenced by a building Siberian high, which encompasses Eastern China, the Yellow Sea, and the Sea of Japan vicinity. Winds are mainly from the north to northeast across Eastern Asia, becoming more north to northwesterly north of 45N. As the Siberian high strengthens, strong northerly surges become more common across the East China Sea and Taiwan Strait. During a strong surge, winds can reach gale force (force 8-9) and seas build through the strait and across South China Sea, as high as 10-15 feet within the strait itself. The weather across this region is marked by two distinct monsoon seasons. The southwest monsoon typically occurs during the period from May through September, with south to southwest winds dominant during the period. These winds for the most part are “light”, generally of no more than force 3-4, with seas consisting of a wind chop of no more than 4-6 feet. Clusters of squalls moving westward across the area will create localized higher winds and seas, mainly confined to squalls themselves or areas very near squalls. Larger, more persistent squall areas can become better organized, particularly in the warmer waters and with a favorable “environment” aloft, typically in waters near and north of 06N. More organized systems (tropical cyclones) will generally track toward the west across the South China Sea, though systems farther north (in the central South China Sea), will at times turn northwest to northward, more so later in the period (in September), as cold fronts become stronger and higher south to southwest winds aloft allow for such “re-curvature” of tropical cyclones to occur. The tropics are still a factor during the fall, though we are moving into a transition period during this time, away from the southwest monsoon, with associated southerly/westerly winds becoming more intermittent and mixing with the northerly and easterly winds synonymous with the wintertime northeast monsoon. Again, winds are light, with speeds generally no more than force 3-4, but higher winds are common within squalls, particularly those associated with west to northwestward moving tropical cyclones. Combined seas are generally wind driven in nature, heights typically from 3-6 feet, though higher seas can occur in and near squalls. Further, long-period north to northeast sets will propagate southward into much of the region. These are often found in the wake of cold fronts passing north of the region, and will tend to be no more than 4-7 feet, tending lower the farther south one travels. During the winter, we are in the Northeast Monsoon season, with northerly and easterly winds dominant across the region. Winds average anywhere from force 3-5, though will tend lower in more southern latitudes, particularly within the southern South China Sea. 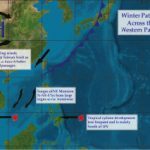 Surges of higher winds will occur when ridging across much of Asia builds farther to the south and east, usually found after cold fronts pass near and north of the area. These surges will usually be about one to two Beaufort forces higher, especially in the central South China Sea. In addition, combined seas will build during wind surges, reaching as high as 10-12 feet in the central South China Sea, though becoming somewhat lower and longer-period farther south. Although tropical cyclone formation can occur in the western Pacific region during the winter, it is more uncommon during this time of year than during the rest of the year. Any cyclone development will mainly be found south of 10N, tracking westward toward and across the South China Sea. Otherwise, we find disorganized squalls, mainly confined to waters of the southern South China Sea, generally near and south of 05N, and will generally track toward the west. Squall clusters, while usually disorganized, can produce localized higher winds and seas, both within and near the squalls. The direction and speed of the currents through Korea Strait does not fluctuate much through the year from southwesterly at approximately 0.5-0.7 knots. The typical current pattern in the Yellow Sea is a counterclockwise flow of a stronger northwesterly flow along eastern China, along the Shanghai vicinity and a weaker south to southwesterly flow along western South Korea. The flow does tend to vary and weaken to less than 0.5 knots in late spring and summer across the Yellow Sea. From November through March, currents can become stronger from the northwest to northeast averaging 0.6 to 0.9 knots. The dominant current near Japan is the Kuroshio Current. This strong current extends from eastern Taiwan, northward along the Ryukyu Islands, north-northeastward along the southern coast of Japan, north along central Japan near 37N, and then extends eastward out to approximately 165E. The warm waters of the Kuroshio Current sustain the coral reefs of Japan, the northernmost coral reefs in the world. This current is the second strongest in the world averaging 0.9 to 1.6 knots, as the strongest is the Gulf Stream in the Western Atlantic. Taiwan Strait lies between eastern China and western Taiwan. Current speed through this region averages 0.4-0.8 knots through the year. From October through February currents are mainly from the north-northeast and during the rest of the year are from the southwest. Luzon Strait lies to the south of Taiwan along approximately 21.5N. Currents in this area are strongly influenced by the nearby Kuroshio Current which gives this strait an average current from the south-southeast to south-southwest at 0.6-1.3 knots. Currents along the eastern Philippines during the winter average from east to northeasterly 0.4-0.7kts. During the rest of the year, currents become more from the south-southwest to south-southeast along the western coast and E’ly along the southern coast, south of Mindanao Island of similar speeds. In the South China Sea, current directions are more of a function of the prevailing winds over a particular time period. For instance, during the period from late autumn through early spring, when the Northeast Monsoon is common, current directions are generally from the north and northeast, current speeds generally running anywhere from 0.5-0.8 knots across much of the direction. Later in the spring and during the summer and through early autumn, current directions shift/change, and are generally from the south and southwest, with current speeds similar to those during the remainder of the year. 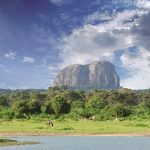 Well we have many weather factors to consider here… not surprising given the expansive area we are considering, but when is the best time of year to travel? Where are the best places to go and what must we try to avoid at all costs? This section will summarize the preceding information and hopefully shed a little more light on things. First off, to find (relatively speaking) more optimal weather conditions, one want to travel when the weather regimes are “in transition”. Spring offers one such transition, and in many cases would tend to be one of the better if not the best times of year to travel. 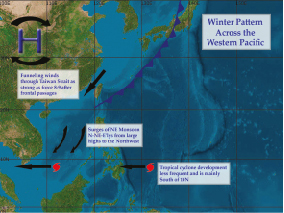 Cold fronts become weaker and less frequent farther north (north of the South China Sea), so the effects from such features (and the high pressure areas that follow them), are not as severe as, say, during winter, when the weather tends to be especially volatile on many occasions. Furthermore, as we look into the South China Sea, we are also in transition. The surges of higher N-NE winds that come with the Northeast Monsoon are more intermittent during the spring, and not nearly as strong as they are during the late fall and winter. Also, while we are considering the tropics (we always need to keep the tropics in mind to some degree over the course of the year), cyclone frequency is not quite to the magnitude of the summer season, especially later in the summer when the tropics are even more active. If summertime travels are in your plans, further south, in the South China Sea would tend to be the better way to go. Even with the more active tropical season, cyclone formation, especially in the southern South China Sea is less common, and tropical systems are less of a threat to this region. Also, while we are in the Southwest Monsoon season during the summer, winds and seas associated with this phenomenon are typically not as strong as during the wintertime Northeast Monsoon. What if your plans do take you north of the South China Sea? Well, for the winter season, you’ll want to time your travel in between the passage of cold fronts of course, and keep a very watchful eye on the weather. Look for breaks in the weather as high centers or ridge axes move in and winds and seas ease and abate respectively. As for summer travel, the late spring and early summer rainy season associated with the Bai-U front could make things somewhat concerning for those looking for more pleasant weather, though aside from that, one can find favorable weather windows under many circumstances. Of great importance for the mariner and vacationer this time of year is of course the tropics. Careful observation of the weather situation at hand and proper guidance will allow for avoidance of these systems.